The YA series RL Stine can't put down! 2 Book Giveaway! 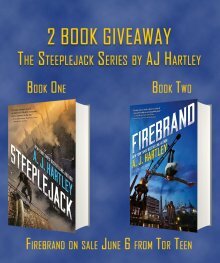 Win finished copies of both Firebrand and Steeplejack!